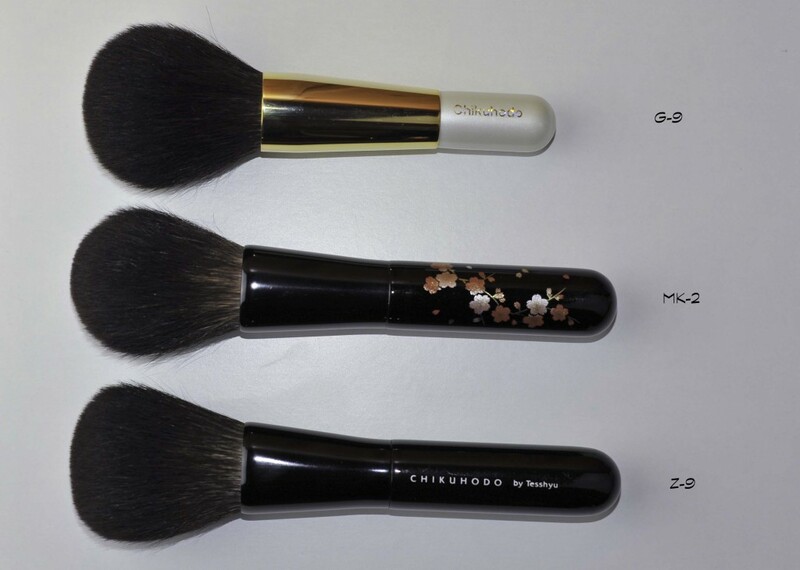 Chikuhodo just recently came up with GSN series – N is meant for new – it’s the new GS series being revamped, according to Chikuhodo, the shape of the brush becomes more suitable for the latest makeup styles, the handles remain unchanged. Makeup artists love goat/squirrel blends for professional use and this line follows mostly this idea. The G series also had a little change to them, but only the logo was modified. The foundation GSN-05 because I already love the similar LQ-11 with the very short handle for travelling but wanted a second one with a longer handle, when I am not travelling I definitely prefer longer handles. The highlighter GSN-04 because that shape is one of my favorites and this was a great opportunity, I was looking for something exactly like this. The crease GSN-10, because I know many of you are interested by this new -unusual for them- Chikuhodo. GSN-7 and G-3 are little bit different. GSN-7 is larger than G-3 and the hair type is also different. GSN-7 has squirrel and weasel hair and G-3 has only squirrel. I love all the ones I own, I find them extremely efficient and extremely well shaped. They are soft enough, no worries about that, a makeup artist will have serious material here, probably the tools that are the most appropriate for an intense usage without even having to torture his model. Compared to squirrel brushes, blending of the goat and squirrel make these firmer and add more density and resilience to them, they will pack more product and buff the edges much better. Since I am here with the G-9, just a few words about it, I bought the G-9 in Japan and when I saw it I fell in love instantly, it’s twice the surface of the MK-2, the Z-9 has a rectangular surface a bit more firmer, the G-9 is bigger, round and will cover all your cheek at once. Same hair quality as the Z series, I just regret the handle. I’d rather preferred a handle like the Z-series for example, I am not crazy about this shorter version with the big gold ferrule but that’s another story. In my humble opinion this brush should be more in the category of higher series with a more luxurious handle, I don’t think a makeup artist will use this daily on models anyway unless he wants them to fall in love with him or her 😀 Well, I am just sharing my crazy thoughts as always… and even though it’s not a GSN brush, since I just got it and hadn’t shown it to you, I wanted to do it here. It’s a mix of goat and squirrel hair, feels softer than the Special G-9 (the pointy one) but not as soft as the Fu-pa14 from Koyudo. This GSN-04 is absolutely wonderful efficient, pleasant to use, perfect shape, a bit too big for precise highlighting since it covers 2,5/3cm diameter at the surface but perfect for blush ! The Tanseido here is one of my favorite brushes ever, so is the Chikuhodo portable that you see below (but only available in Hiroshima), I wanted a similar one so that’s done ! The Chikuhodo portable is softer (although not a huge difference) and a bit more denser. It’s a shame it’s not online but if you can get it I totally recommend it. Maybe Malin can help with that for those of you who are interested. I have no idea what the price is since it was a present but if there is a way to get a second one I definitely would. It’s a crease goat brush, just like many other crease brushes, it will blend your application without altering your makeup look, it doesn’t have enough precision for me and I prefer the Tom Ford for crease work, then I usually pick a denser one for blending. Max 222 – Sigma – GSN-10 – J142 – TF13 (difficult to see a difference between the Mac and the Sigma and difficult to feel a difference between the J142 and the TF13). Please keep in mind that since these brushes are handmade, each one can be slightly different and therefore differ from yours. If you have others from the GSN collection, please let us know how they are and if you like them ! Chikuhodo GSN-Series was last modified: September 26th, 2014 by Sonia G.
Money saved from buying the GSN10, maybe I will finally see a re-launch of the limited 222.
p.s. I count on Wayne or Charlotte T.’s releases. I might be crazy and I haven’t read the post yet but I don’t see some of the brushes on the official website, GS-T Tamari and Special G 9. Are they limited or for domestic purchase only? these are not from this series GSN, they are from the current line, there is another link for them. it’s updated in the post, the 3 on the left are the only ones from the GSN series ! sorry ! Thinking of buying from chikuhodo and kayudo too now. Thank you for sharing. Love your blog so much. thank you Fanny 🙂 let us know what you get and if you like them, I’d love to hear about it ! it’s only available in Hiroshima but I will check with Malin from Kohlindo.se if she can get them ! Im going to order the GSN-serie so if someone would like to have one or more brushes please send an e-mail to peter@kohlindo.se. I don’t know the name of this brush at all ! I just have the picture, nothing else I am afraid. Mr Takemori said it was only available locally in Hiroshima, but I don’t even know where. 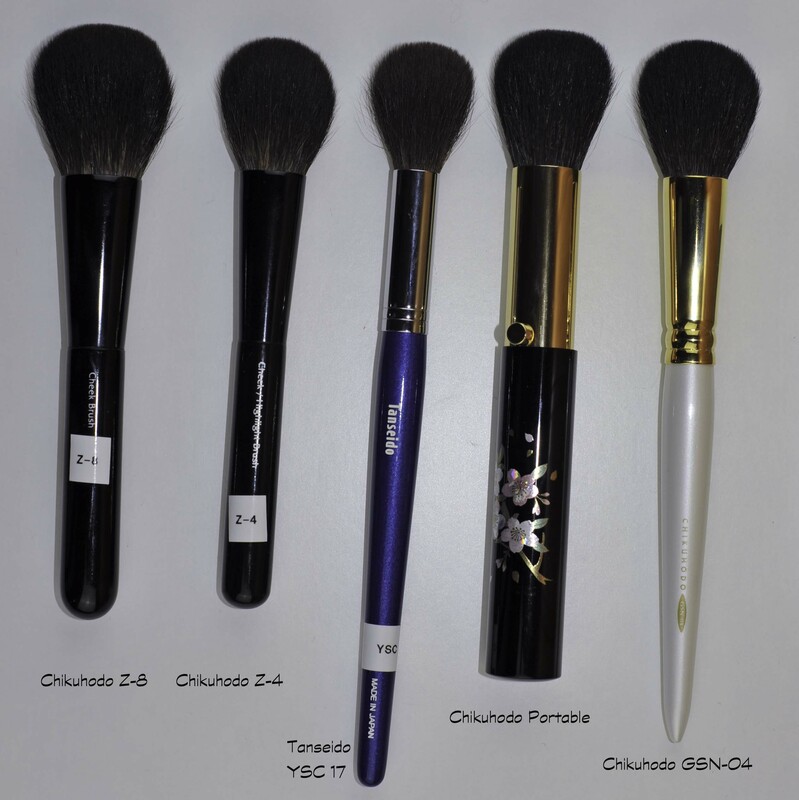 18-2 Artist Black Cheek Brush and the GSN-7, can you please contact me or shall I contact someone else ? Hey Sonia! I’m curious – how does the size of the GSN-05 compares to the Koyudo BP014. Are they similar? Hello Kerry, they are two completely different brushes, I don’t have the fu-pa with me during my trip but the fu-pa covers approx twice the surface I’d say. This Koyudo is amazing, I use it often but it would be even better if it was a bit bigger. They perform in a very similar way, the BP014 is softer, but as I said the main difference is that with the GSN-05 you will finish the application faster. I’m glad to hear you’re having a great trip. You’re making me want to travel! Can’t wait to receive his brushes… did you get any at the end ? I’m on a slow quest to collect Chikuhodo brushes (I haven’t even started the Hakuhodo madness yet… waiting for a London IMATS show so I can buy in person!). Starting from the top I bought the Z series brushes and was thinking about the G and GS series. 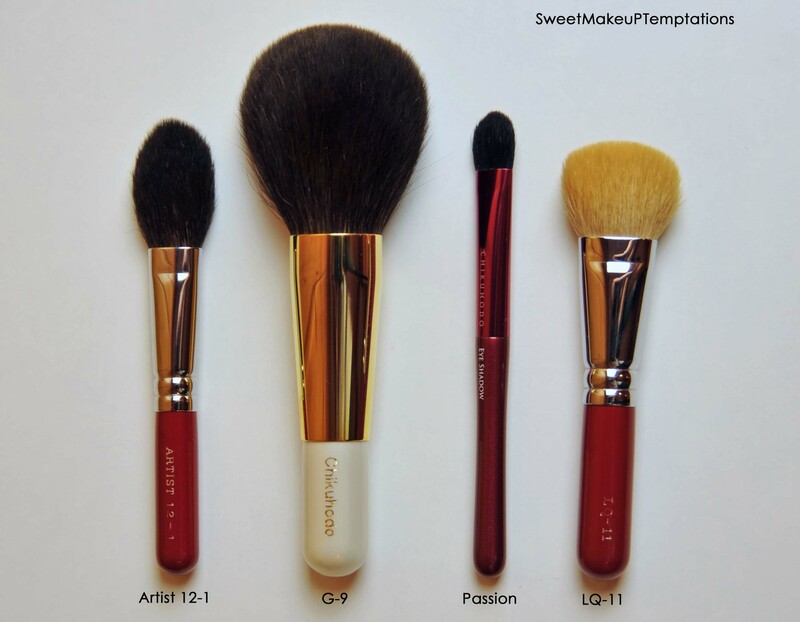 Do you think I should wait and explore the GSN series first, as they are the newer versions of the brushes? I am in the UK and buy via Kohlindo. Are you back from your well-earned vacations? and hello all the girls!! yes I am back and I am sick 🙁 I can’t even talk ! 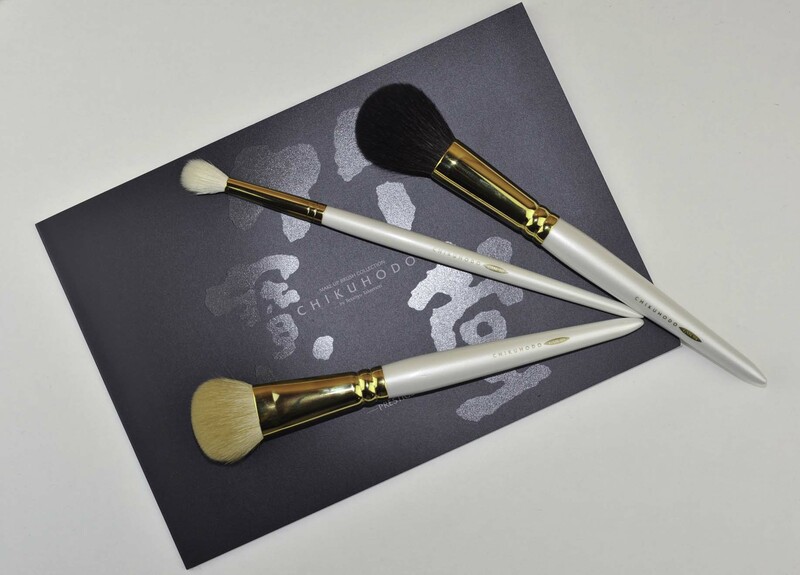 the chikuhodo you can order either with Kohlindo.se or with Tommy. For Kohlindo I quote Malin’s comment “…please send an e-mail to peter@kohlindo.se with the name of the brush and we will see what we can do :)” Malin is in maternity leave but you can contact Peter if you have questions he might be able to get you brushes that aren’t on the website. I got the GSN via Tommy some time ago but I usually order via Kohlindo. have a great weekend too ! 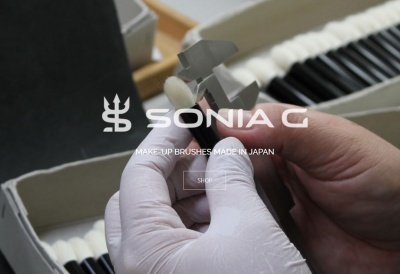 Sonia, can you please tell me for wgich purposes the powder brushes with short bristlea and the one with long brisles are more suitable? the shorter bristles work as sponges sometimes depending on the thickness/density and they are more appropriate to buff powder foundation with heavy coverage. i also use them to apply sheer blush powder in a very polished way but they will alter the foundation application underneath depending on how strongly you use them. This chikuhodo with shorter hair is meant for powder foundation and I am really tempted to get it for myself actually, although I have the Koyudo Fu-pa14 which is probably very similar. The longer bristles are more appropriate for a sheer coverage with bronzer or sheer powder, to apply the finishing (perfecting) powder, and they won’t be as aggressive as shorter bristles. 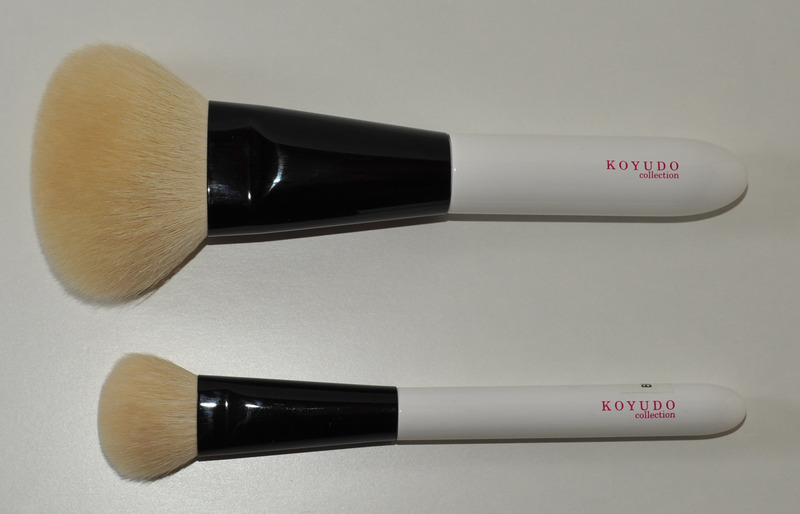 The brush choice will depend what application you want to do with it. Sorry for missing your question before ! It seems that if I use only the loose light powder I should buy myself the long-bristle brush. In the end of the previous week recieved three Chikuhodo brushes I ordered: GSN-10 (simply liked it when I saw it for the fist time oh the Chikuhodo site, and it is easier for me to obtain comparing to the Tom Ford 13), GSN-4 (that was your influence) and Z-5. By the way, how much Hakuhodo J142 resemles GSN-10. By the way, how much Hakuhodo J142 resemles GSN-10? The J142 is side to side with the GSN 10 on the post and they are ranked(organized) by softness/density/firmness/precision, do you have a specific question to help me answer you ? Oh, yes sorry. I somehow forgot you mentioned it. Would you recomend to try Hakuhodo J142, if I already own GSN-10? 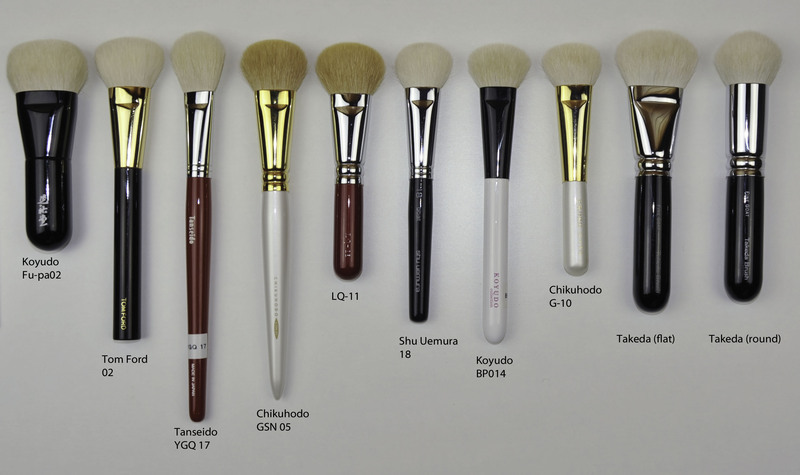 About Chikuhodo Z-2 – right now I looking for such a brush. 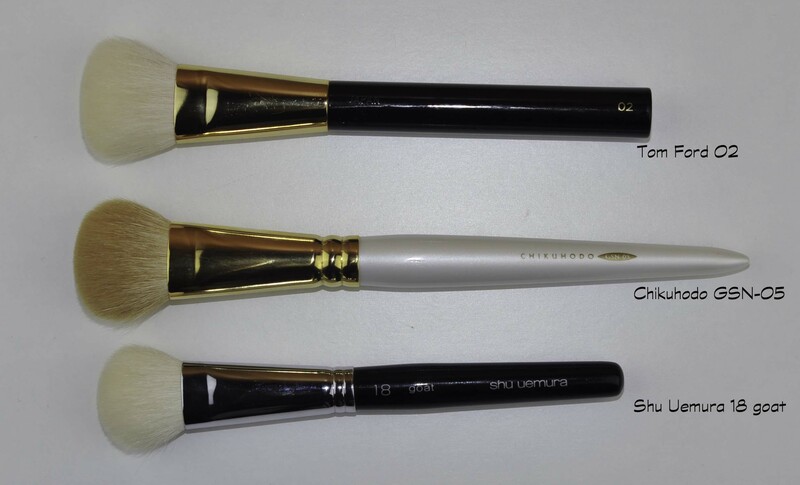 However, I know Chikuhodo have some similar brushes made od different materials. So, I am hesitating a bit. I need sych a brush for powder products. Hi Mila, no, if you have the gsn-10 you don’t need the J142. If one day you find the gsn-10 too rough, then switch to the J142 otherwise it’s all good! 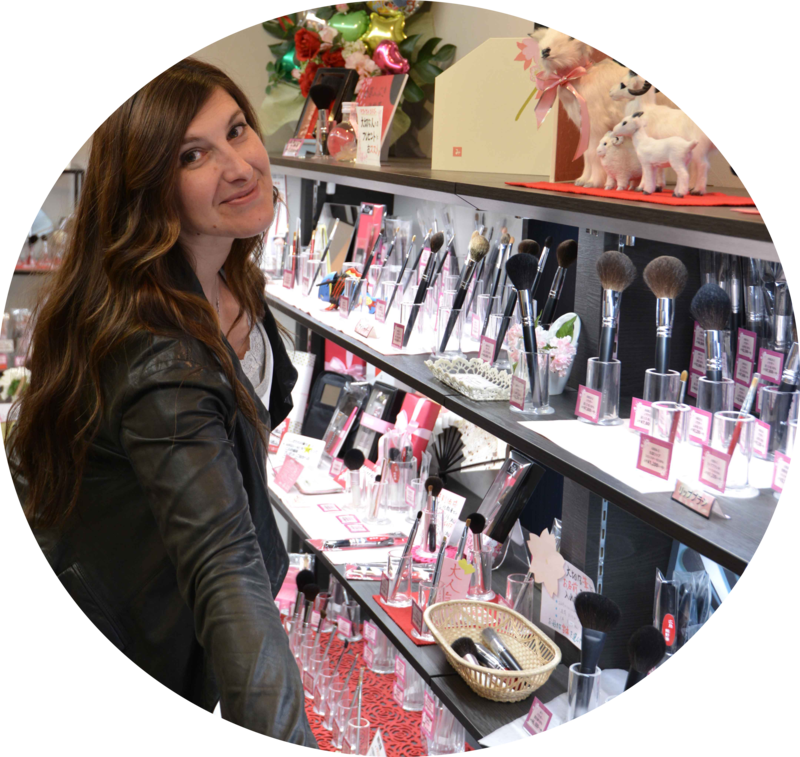 hello… I will be visiting japan in the near future and i am madly in love with all the brushes you have mentioned on your blog. 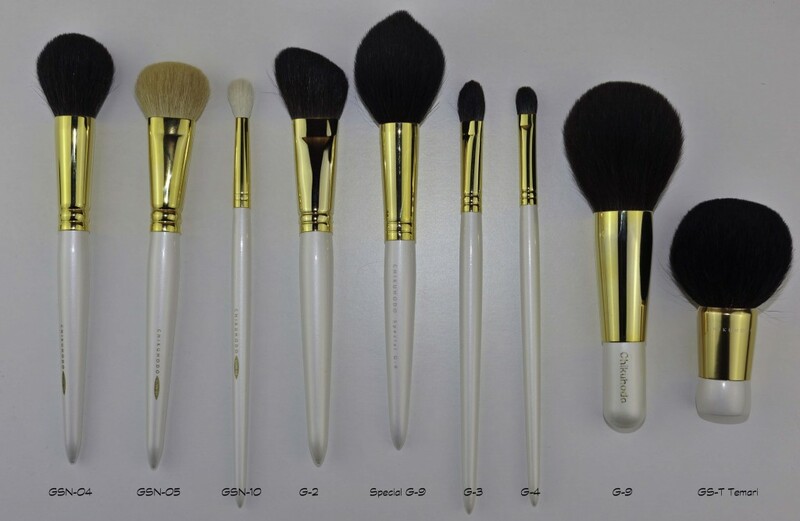 Can you advise where i can buy hakuhodo, chikuhodo, lunasol and other high end brushes? Would my best bet be at a highend department store or? Any help would be greatly appreciated. Thanks so much. p.s. I love your blog! There is a first article here http://allmadeup-nowheretogo.blogspot.ch/ written by Rosy (that I actually met while I was in Japan). I am planning a post on that for this week.. I will mention a few tips and tricks, not much but it will help you a bit. When are you leaving ? How do the Fu-pa14 compare to the Chikuhodo G -9? The squirrel hair round Brush? The G-2 is much much much bigger and longer hair. Hi Nicole, thank you 🙂 one more brush junkie in the group, yeah!! But I don’t own the G-16.. I think it is similar though, just the handle changes. It is softer than the WG, although not that much as it is still goat after all. I think you may be looking for something much softer so you’ll have to check either Saikoho goat (Takumi series for example) or Z series (I am thinking of the MK-2). The problem is that often pointy shapes like the WG don’t splay out as much as the Wayne goss does or the G-16 does, so that won’t serve the same purpose and I think you want something not too directional, is this correct?